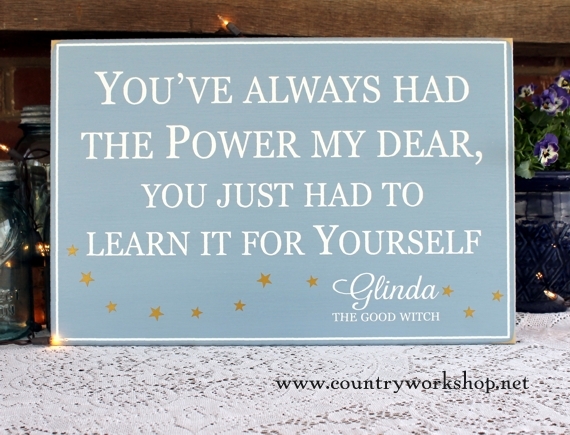 Wood sign with an inspirational saying for nursery or playroom. 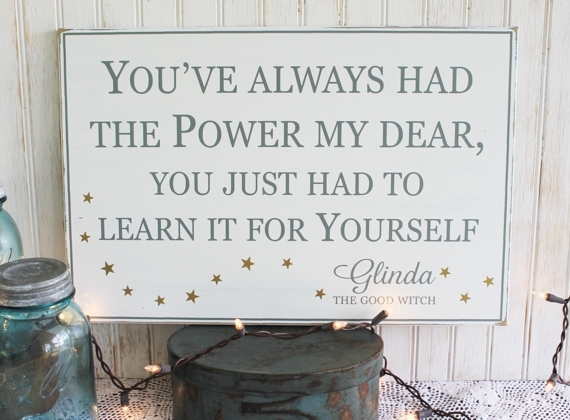 A wonderful quote by Glinda, The Good Witch, from the Wizard of Oz. Inspires every child or adult to find the power inside ones self, to face the difficult moments and life challenges.